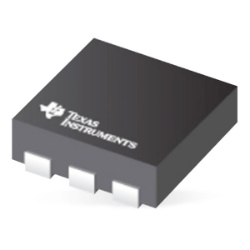 Texas Instruments TPS746 Adjustable 1A LDO Regulators features an ultra-low dropout of 225mV at 1A that are able to help improve the power efficiency of the system. The LDO Regulators supports an input voltage range from 1.5V to 6V and an externally adjustable output range of 0.55V to 5.5V. The low output voltage allows this LDO to power the newer microcontrollers with lower core voltages. The regulators are ideal for applications including set-top boxes, gaming consoles, home theatre and entertainment, desktops, notebooks, ultrabooks, printers, servers, thermostat and lighting controls, and EPOS systems.